Daniel Abraham has already succeeded at writing non-traditional fantasy in my eyes: the Long Price Quartet is a fantastic tale of social change, hard choices, and two men who do what isn't necessarily right. (I loved it, and you can read my review here). So how does he fare with what initially seems like a more straightforward fantasy epic? The novel follows three protagonists: Geder, a noble in military service (but more apt to pick up a good book than fight a war! ), Cithrin, the determined ward of a bank threatened by invasion, and Dawson, a noble conspiring to protect his King and aristocracy against traitors. Daniel Abraham is a master of characterisation. Making likeable characters that you empathise with is difficult. What Abraham does, however, is write empathetic characters who make the wrong decisions, who are flawed, who are even contrary to the modern reader's whole point of view. And it works. Brilliantly. I did, of course, have some problems. 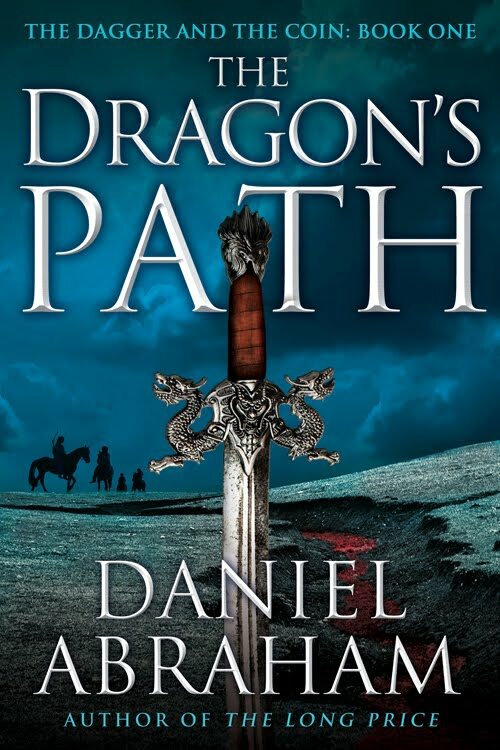 In the first few chapters, the books does seem to suffer from extreme dragonitis: a disease which displays the following sympton - every second noun is named after a dragon. the Time of the Dragons, the Dragon's Paths... It seemed a little overdone. But this does cease around the third chapter or so, once we've had our introductions, so it certainly wasn't a major problem. It's too early for me to comment on the role of the spider goddess. Although the apostate suggests 'she wants to eat the world', I am hoping that she doesn't become such an inexplicable villain of the series: I much prefer the human conflict, or more ambiguous magical. One thing I do enjoy regarding her, however, is the limited but powerful magic. Being able to tell truth from lie, and put apparent truth into your words. As I said: it's limited but powerful, especially in the conspiracy-rife society of Abraham's new universe. Alltogether, this is an introduction with promise, and a lot of resolution. This is no Way of Kings - each of the three gets considerable development and movement over the course of the story. 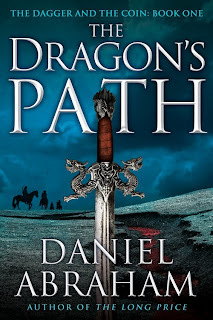 With low magic, intriguingly human conflict, likeable - if not always good - characters, and a heavy dose of the nontraditional, this is a must-have for any fan of epic fantasy.